And Chris Christie is part of the reason why. When I asked in the Mother Jones Slack chat today whether it was too late to write a post tying climate change to the Chris Christie beach scandal, my colleague replied there was probably another 12 hours left in that news cycle. So here goes. By now, you’ve no doubt seen the photos and heard the fallout from the New Jersey governor’s day with his family at the shore. Over the weekend, NJ Advance Media caught Christie soaking up the sun in Island Beach State Park, which he had closed to the public as part of a government shutdown linked to a state budget dispute. 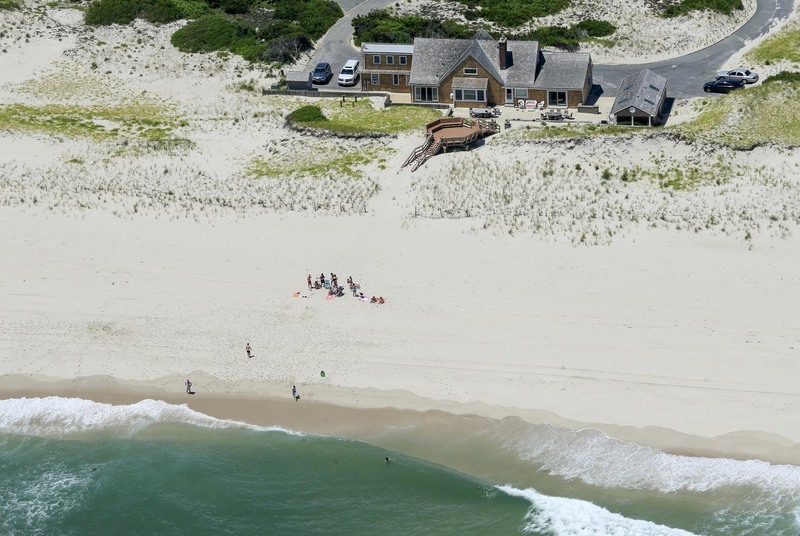 Christie and his family were staying at the state-owned Ocean House, which sits adjacent to the shuttered beach and is reserved for the governor’s exclusive use. Christie’s hypocrisy is obvious, but it’s also worth pointing out that the governor is a big supporter of President Donald Trump, whose climate change policies are a threat to coastal communities everywhere. According to the Intergovernmental Panel on Climate Change, if we do nothing to combat global warming—which is essentially the Trump plan—sea levels will rise roughly 1-3 feet by the end of the century. So I started wondering: What will Island Beach State Park look like in a few decades? Will it even be there at all? But zoom out a bit farther, and you’ll notice a problem: Large parts of the road to Ocean House look like they will be underwater. But fortunately, the house won’t be completely inaccessible for the Garden State’s future chief executives. They have an advantage that ordinary taxpayers do not. As the Washington Post notes, Christie gets to use a state-owned helicopter to travel to the beach.